Xiaomi’s most affordable budget offering in its latest line-up, the Redmi 6A goes live on sale today. Following the Redmi 5 series, Xiaomi launched the Redmi 6A, Redmi 6 and Redmi 6 Pro in India which caters to the budget and mid-range buyers. 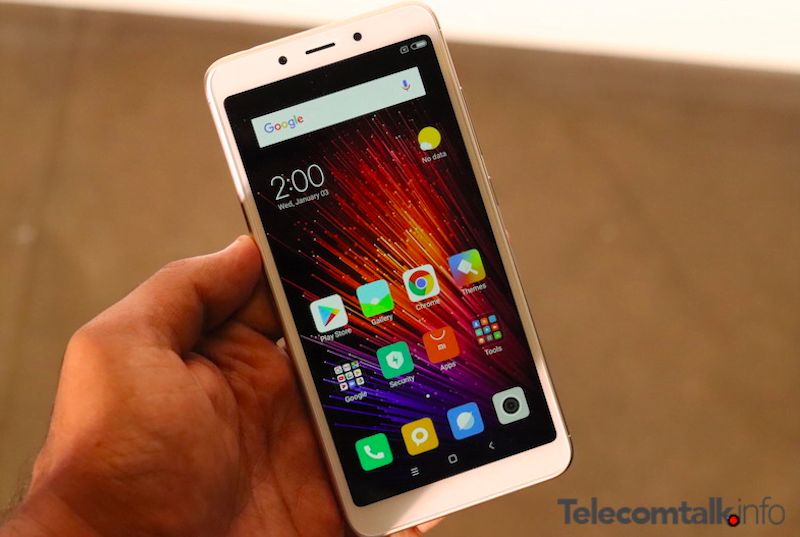 These phones come with decent level specifications and carry forward the Xiaomi’s brand name. While the Xiaomi Redmi 6 and Redmi 6 Pro have already made their way to the Indian market and the online stores, the Redmi 6A was awaiting its market launch. The first sale of Xiaomi Redmi 6A starts today at 12 PM on Amazon, and the device will sell as an Amazon exclusive phone. If you are one of the takers of the Xiaomi Redmi 6A, then we’ve got you covered. Read below to know more about where you can buy the phone, at what time and with what offers. On Amazon, the phone has been listed on the first page itself, and a banner along with a picture of Redmi 6A comes up with a “Notify Me” button which will allow interested buyers to sign up for a reminder service by Amazon. Also, the time of the first sale has been put up on the e-commerce website which tells that the first sale will kick-off at 12 PM today, i.e. September 19. The starting price of the phone has also been highlighted in the banner which is pegged at Rs 5,999 for the 2GB/ 16GB variant. The phone will also be available in another variant of 2GB/32GB. The colour options for the phone include Blue, Black, Gold, and Rose Gold. Besides Amazon, interested buyers will be able to get their hands on the device through Mi.com as well. People who buy from the official website will also have an advantage over Amazon buyers as on the official website, Xiaomi will be offering Rs 2,200 instant cash-back with 100GB of 4G data on Jio. On Mi.com, buyers will also get access to 3-month complimentary access to Hungama Music. The Mi Protect handset protection program will come for Rs 549 per year. Under the Mi Exchange program, buyers will also be able to exchange select smartphones. The Redmi 6A makes its debut as the successor to Redmi 5A, and it sports a 5.45-inch HD+ IPS LCD with 720×1440 resolution and an aspect ratio of 18:9. Given that the Redmi 5A used to come with a dated 16:9 aspect ratio with a 5-inch display, this phone proves to be a worthy improvement. The display has a decent pixel density of nearly 300 PPI, and the phone comes with a plastic back but with aesthetics which are appealing. Under the hood, the Redmi 5A runs on the MediaTek Helio A22 processor clocked at 2.0GHz. This setup comes paired with 2GB of RAM and 16GB of internal storage, and the other variant offers the same RAM but doubles the memory with 32GB ROM. The rear camera on the device is a 13MP shooter, while the front camera is a 5MP sensor which comes with AI Face Unlock. The camera also comes equipped with burst mode and PDAF. The battery on the device is a decent performer as it packs 3000mAh worth of power. For those who would like to see more memory, there is also the option of expanding the internal storage by using a microSD card of up to 256GB. On the software front, the phone runs on Android 8.1 Oreo-based MIUI 9.6, but it soon expected to get the Android 9 Pie-based MIUI 10.